Saxophonists almost always start on a rented saxophone. 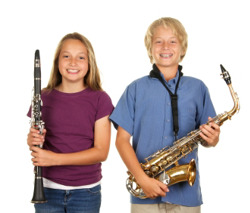 Renting allows the player (and his/her parents) to see how serious and dedicated the player is before investing in a saxophone. Beginning saxophonists occasionally switch to another instrument; renting allows switching at minimal expense. The rental saxophone can take the initial wear-and-tear of learning how to handle and care for a sax. The Maintenance & Replacement plan keeps the saxophone playing well and replaces it if it's lost or stolen. 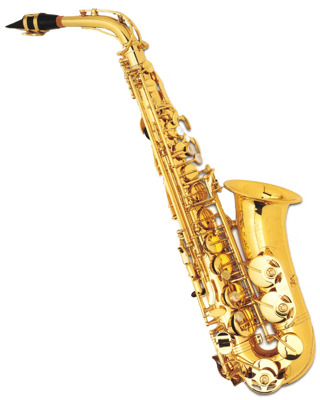 There are several types of saxophones: soprano, alto, tenor, baritone, etc. Renting gives the player a chance to see which is most appropriate for them. Once they get past the basics, many saxophonists will move up from the beginner saxophone to an intermediate or performer saxophone. Renting a saxophone is simple and inexpensive — rent is as little as $45 per month. You may continue renting for as long as you like or you may return it to Amro. The accessories and lesson book your band director selected. Service in your school. Your Amro representative comes to your school on a regular schedule to make sure the instruments are playing properly and to take care of any problems. There is a reason more people rent instruments from Amro Music than all the other Mid-South music stores combined.